At CES this week Sony announced a new series of Blu-ray Disc movies “Mastered in 4K.” This sounds awesome! 4K is the new cool technology, so of course we want 4K content! Aside from the fact that 4K is now called Ultra High Definition so the label will be confusing going forward (“Is there a format war between 4K and Ultra?” some might ask), the fact is these BD movies are still 1080p – or Full HD if you want that term. Additionally, many – if not most – of the existing BD titles were mastered in 4K (e.g. Blade Runner), or even 8K (e.g. Lawrence of Arabia). This is a practice long-held in the industry. 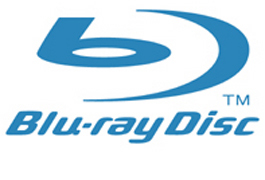 Many DVDs were mastered in 2K and then compressed to 480p, which caused a problem for Blu-ray Disc initially because many studios just used that 2K master for their 1080p BD release. But those masters weren’t quite up to snuff, so the BD masters moved to 4K or higher. Furthermore, some movies filmed in digital were originally finished in 2K, including last year’s Total Recall. Ironically Total Recall is one of the first films Sony announced for this Mastered in 4K promotion, along with The Amazing Spider-Man, The Karate Kid, Battle: Los Angeles and The Other Guys. Get the greatest possible 1080p High Definition picture quality. Using 4K masters with expanded color, selected Blu-ray Discs from Sony Pictures Home Entertainment have been optimized for upscaling on Sony 4K TV for 3,840 x 2,160 pixels for a near 4K experience. But don’t be duped! You’re not getting 4K. This isn’t to say these movies won’t potentially look better than the standard versions. Sony did something like this with DVD calling them “Superbit.” What it meant was they stripped out the graphic menus, trailers, and special features and used the whole disc capacity for the movie’s video file. This allows for lower compression rates, which can mean some compression artifacts may be abated. As it is, this is Sony trying to spread their 4K feature around a bit more. They have it on a video projector, a TV, an A/V receiver and on a Blu-ray Disc player. Why not add it to their Blu-ray Disc movies too?